The Eagle Vaults is very much a music loving pub. Serving a mixed crowd of all ages with a diverse range in music. The jukebox has always been at the centre of the pub as it’s used by everyone. So the pub wanted to make sure that they were catering to all tastes. They didn’t just want the latest chart releases, they wanted a jukebox that would have all of the great classic albums and hit singles from over the last 50 years. A jukebox that could cater to the most diverse tastes in music. 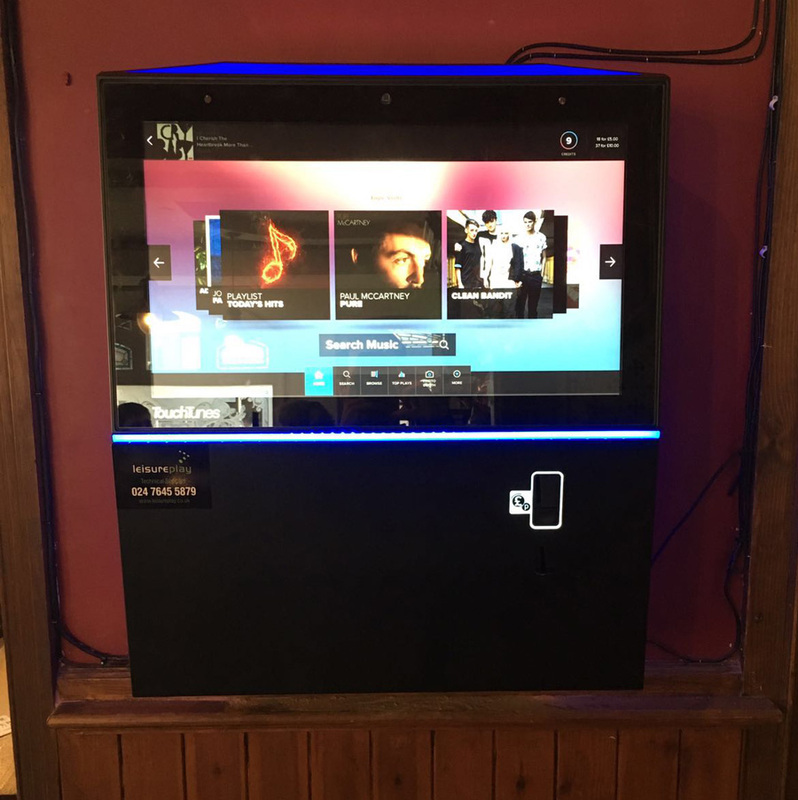 When we saw what was already being played on the previous jukebox and listened to what the customers wanted, we knew the TouchTunes Playdium jukebox would be the best jukebox for their pub. The TouchTunes Playdium is the very latest digital jukebox available to the UK. Already proven in the USA this tried, tested and trusted machine is more than just a jukebox. The Playdium can be set up to play background music from a range of popular genres – pop, rock, easy listening, indie, Irish, dance, alternative rock etc. The real draw with this jukebox is amazing online music content available. Millions of tracks and the most popular classic album titles. The music played can be controlled by a wireless remote, allowing the venue owner or bar staff to switch background music to suit the mood. Perfect for quiet dining periods or louder party nights. Background music for all occasions, any time of day, any day of the week! Customers can easily find the music they want using the easy to use touchscreen interface – which works like a tablet or smartphone, whereby the customer can easily navigate by accessing the touchscreen. The Playdium jukebox also has the feel of a classic jukebox with a carousel feature so that you can browse through the albums available to play. The carousel displays the album cover images so that customers can easily relate to the jukebox when they find the music that they recognise. This feature means that music can be found quicker, with fewer steps involved. Just one search bar to enter either artist, band or track name. Playdium even picks up on spelling mistakes! The jukebox can also recommend other artists to customers based on previously selected tracks. Customers can also simply browse through genres, or decades such as 60’s, 70’s 80’s, 90’s right up to modern day. New music is added daily which means no more waiting for CD updates. Online jukeboxes allow customers access to millions of tracks. 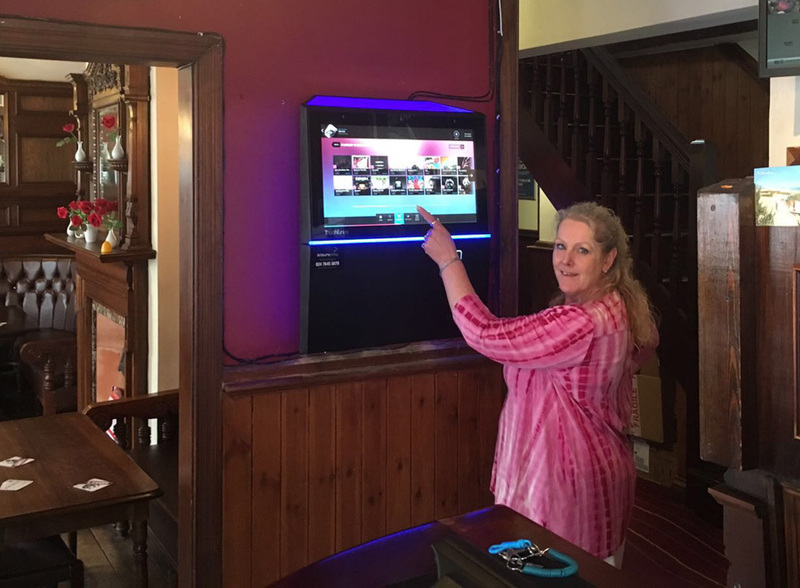 “The new jukebox is perfect for our pub. We also use it as a background music system playing a selection of easy listening and classic rock tracks helping to create a great atmosphere. Our customers love their music and this jukebox caters for everyone. You name it, it’s on there! Sunday afternoons here are great. We get lots of people in especially to play on the jukebox. It’s what people want”. 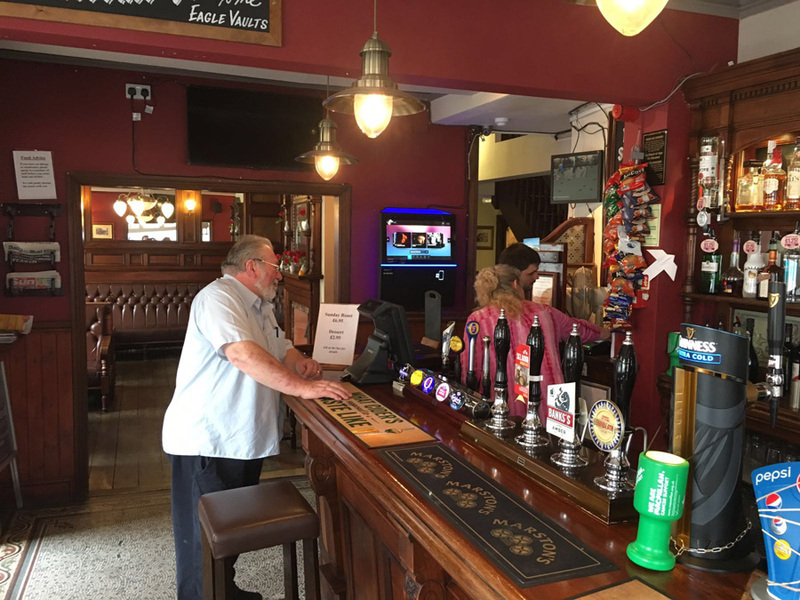 Explore the pub jukeboxes that we at HireJukebox can offer you.